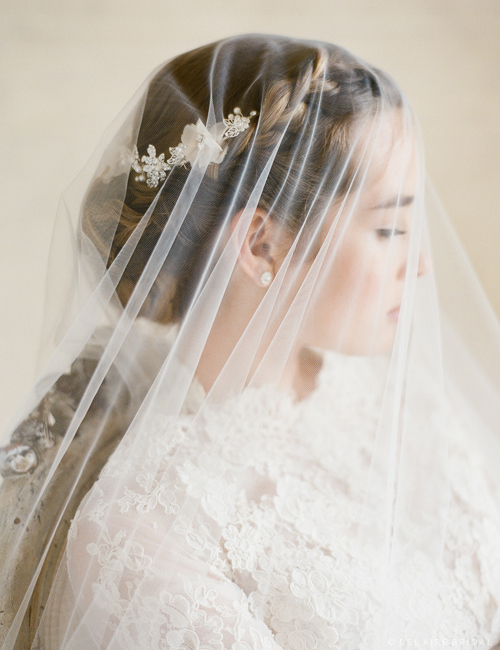 Enhance the romance of your wedding day wearing a soft organza flower and sparkling silver filigree headpiece. 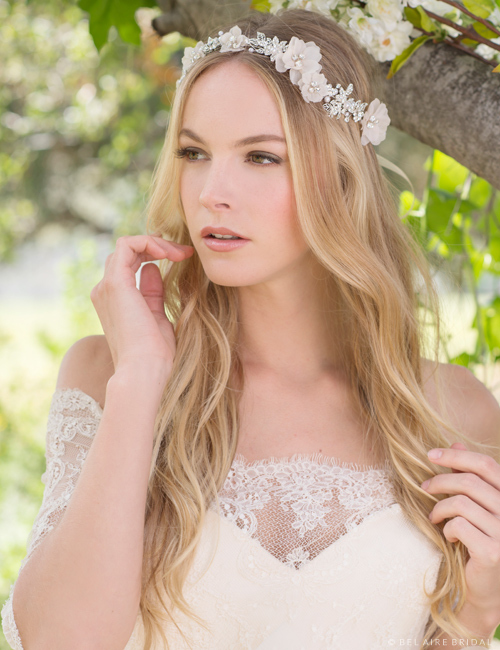 Shimmering rhinestone clusters and lustrous pearl accents complete this heart-fluttering tie headband. Available in champagne or ivory. Shown with V7161.